The future belongs to renewable energy. We are committed to making the transition possible. New challenges require innovative solutions. We develop solutions with the potential to reach millions of homes. Intelligence that helps to use our resources more efficiently. The real potential of DAB+ lies in its digital audio data. Music is transmitted without loss of quality, digitally. To fully benefit from this potential, the digital signal also has to be transmitted between the several components of an audio device until it reaches the human ear. The Si468x chip that we use in our DABBoard has these features. And the Raspberry Pi as well. What is left to enjoy music in digital quality is to enable the I2S bus within the Raspberry Pi. With the newest version of our DABBoard instructions we have added a manual about just that. Download the instructions to learn how to fully profit from the digital sound. We have released a flexible API as a terminal tool to use the Si468x as a DAB processor in your projects. The radio_cli named tool has the Si468x firmware compiled in. It allows control of all the main functions of the Si468x in a simple way. The tool saves you from worrying about the low-level functions when using the Si468x. uGreen lauches the first Raspberry Pi DAB+ extension board with on-board audio-out headphone connector, based on the Silicon Labs Si4688 chip. 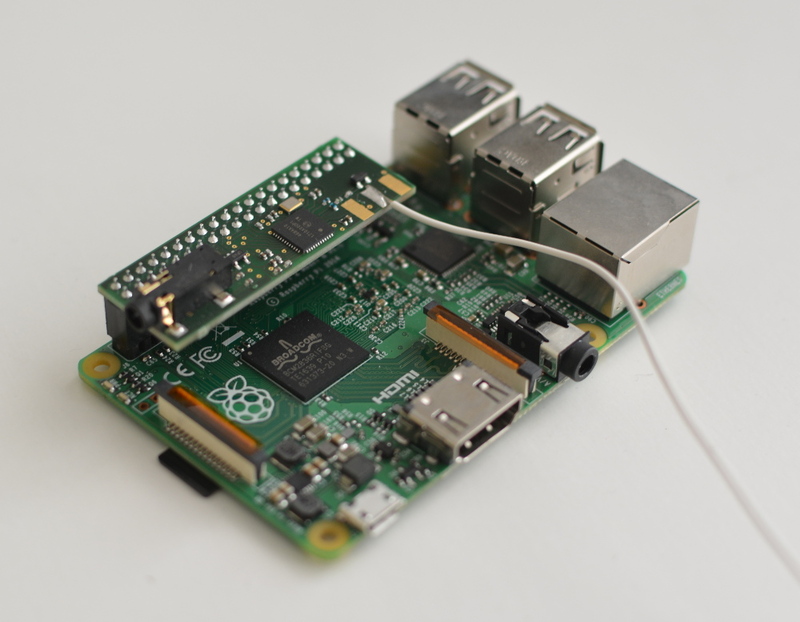 The board allows simple DAB+ listening with your Raspberry Pi with a provided terminal software. Starting today, it can be purchased from our webshop.